From out of its label, Vibrant Forest’s Metropolis murmurs promise. The curvaceous architecture, the Art Deco lettering, and the ominous blue-blackness of bottle and label are all suggestive of a drink that characters in Dark City might get quietly loaded on as Jennifer Connelly huskily croons at them. 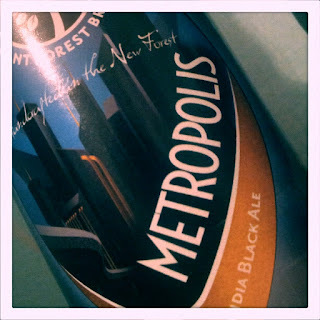 Metropolis India Black Ale looms. It threatens. It slowly and meticulously cracks each individual knuckle while maintaining the hardest of eye contact. 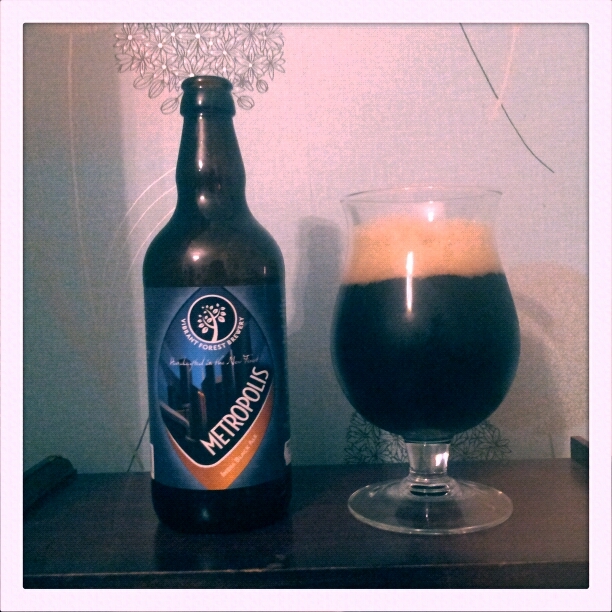 This black beer portends a beer noir experience, just from the look of it. When the bottle is opened, however, stuff gets wild and things spin sharply away from rain-soaked noir cool. Inhaling deeply from the neck, the drinker is assailed by a citrus frenzy. Orange, grapefruit, kiwi, mango and apricot scents all come barreling out of the bottle, tearing at each other in their rampage into the skull and onto the senses. Metropolis pours like petrol, for an inch-thick undulating head of dirty white, and a velvet black body with an almost purplish tone. As the foam of the head bursts open against the lips, the first taste is of ripe decay and decadence. 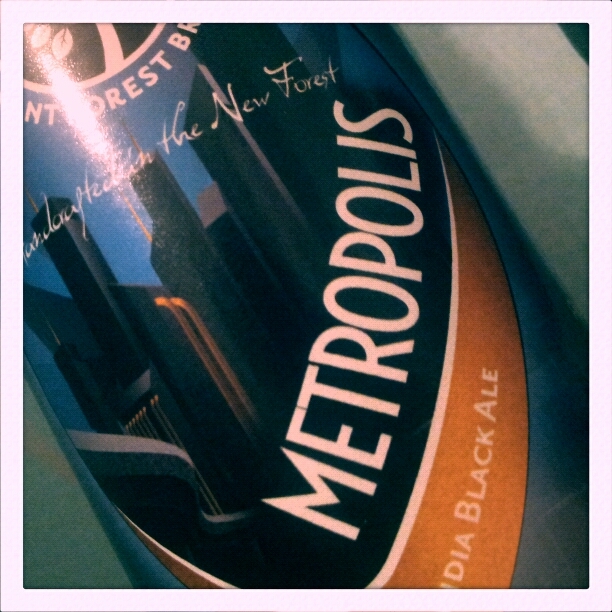 Metropolis is no city beer. Metropolis is a rotting jungle full of lizard-people, wide-eyed-stoned on fermented flesh and furiously banging each other. Any remnants of noir composure vanish as the fecund, ripe fruit fever-dream vomits gorgeously into the drinker’s mouth, with bitterness and acridity following shortly after the initial wave of ripe citrus and jungle madness. With half the drink gone, the glass becomes a vortex of scents as the weirdly-meshing smack of lime and chocolate and over-ripe banana intermingle and stab one another. Subsequent mouthfuls are increasingly bitter, and it’s a bitterness tempered with powerful sweetness that puckers the mouth and makes the drinker both thirsty and quite pleased about having bought three bottles of this on the way home from work. Coming to the end of the glass, the apricot taste and tingling bitterness are the final die-hard sensations, and the aftertaste is a sliver of sharpened citrus drawn across the tongue. Metropolis’ label suggests a sense of Naked City cool. The taste is more like Naked Lunch. Did you know that you can create short links with Shortest and earn dollars for every visitor to your short links.